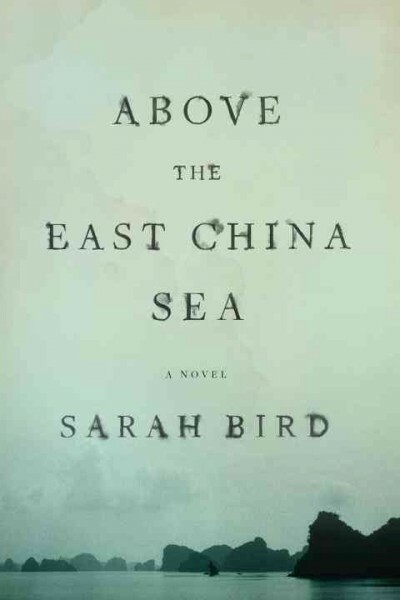 Above the East China Sea is a profound statement about the sorrow of war. It is both an eerie ghost story and a story about the love in families, especially between two sets of sisters, alive seventy years apart and both torn from their closest sibling by war. Modern day Luz is a military child, stationed on Okinawa and emotionally pummeled to the point of suicide by the recent death of her sister, Codie, in Afghanistan. Her family now consists only of her and her mother, who has left on a TDY (temporary duty). Luz is alone in a new place and has no family or friends around, a very plausible illustration of how isolated military families can be. Parallel to Luz’s story is the wrenching tale of Okinawan Tamiko, who was a teenager at the time of the World War II battle of Okinawa. In the litany of horrors of World War II, the Battle of Okinawa isn’t well known, but it killed more people than the Hiroshima and Nagasaki nuclear bombs combined and caused unimaginable destruction and deprivation for the Okinawan people and the permanent destruction of their traditional Okinawan way of life. As the book starts Tamiko seems to be a hostile, even evil, ghost bent on Luz’s destruction for her own ends, but as Luz learns more about her past and forges a connection with local Jake, the reader receives hints about the mysterious connection between Tamiko and Luz. Okinawa is portrayed in its lush tropical beauty with its proud past, uneasy relationship with Japan and current heavy U.S. military presence. Try Above the East China Sea if you like compelling historical novels about young women’s lives in a time of war like Code Name Verity by Elizabeth Wein. I also recommend it for people interested in the lives of contemporary military families, who may also be interested in a recent Association of Library Services to Children blog post about serving military families in the public library. Check the WRL catalog for Above the East China Sea.